I did a small purge of stuff at the end of the month, so I’m splitting up the D&T this time around! 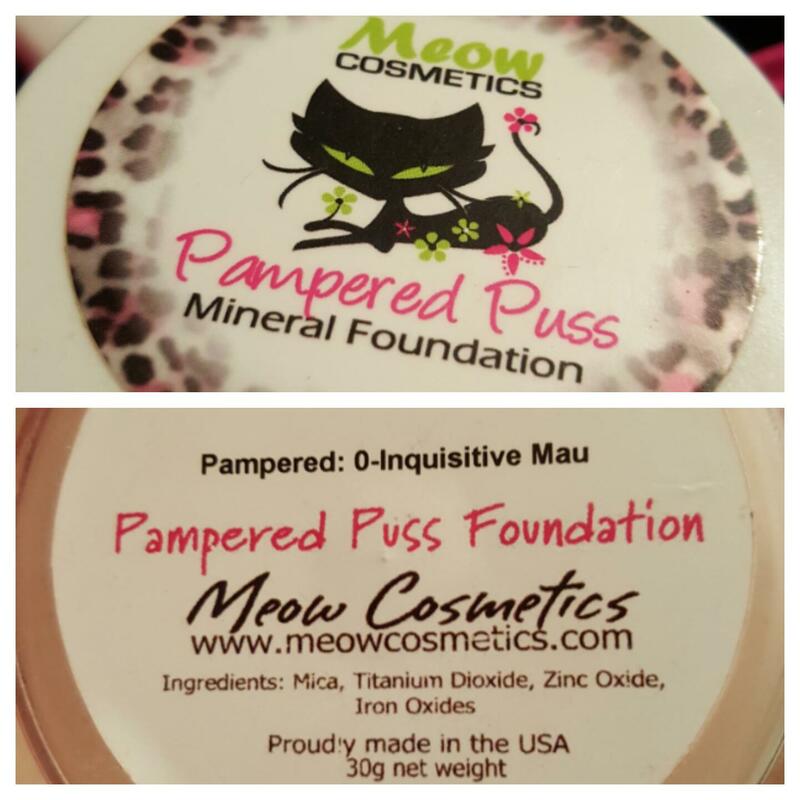 My favorite empty this month is this mineral powder foundation from indie company Meow Cosmetics. This is the only product of this type that doesn’t make my skin itch or burn, enlarge my pores, or make me look like a disco ball. 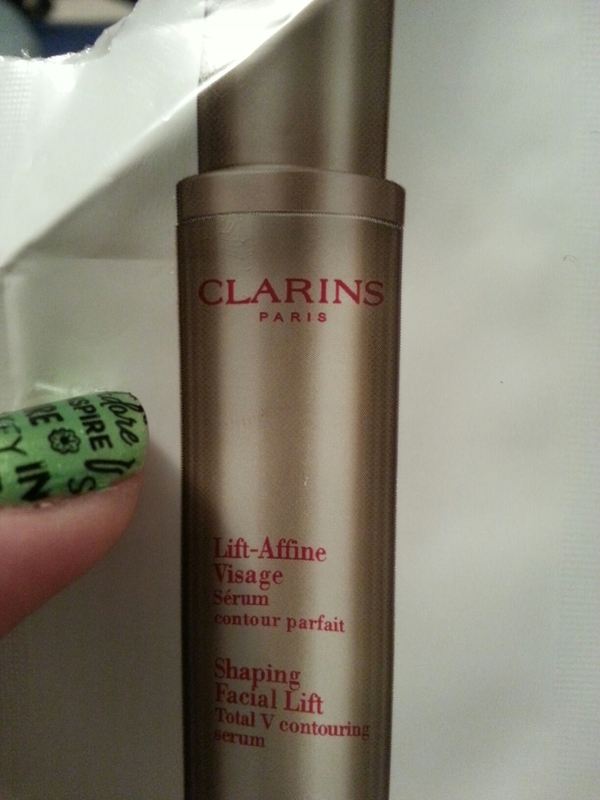 I can wear this by itself or over foundation or BB Cream. If they ever stop making it, I will cry. Why yes, I did get sucked in by the packaging! 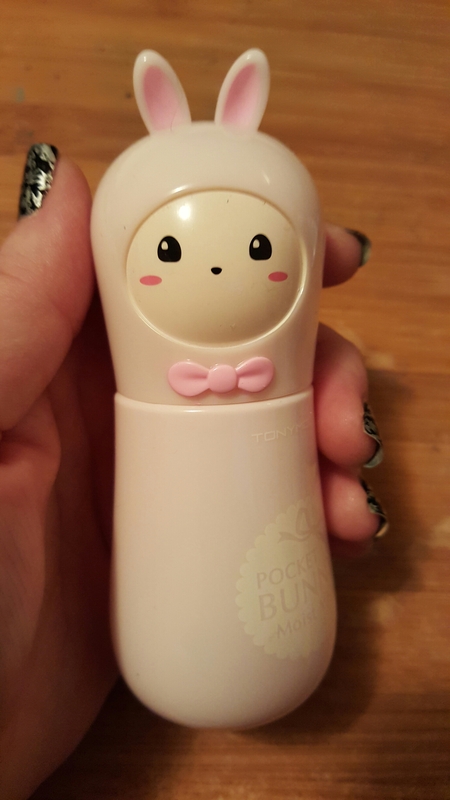 I finished up a Tony Moly pocket bunny. 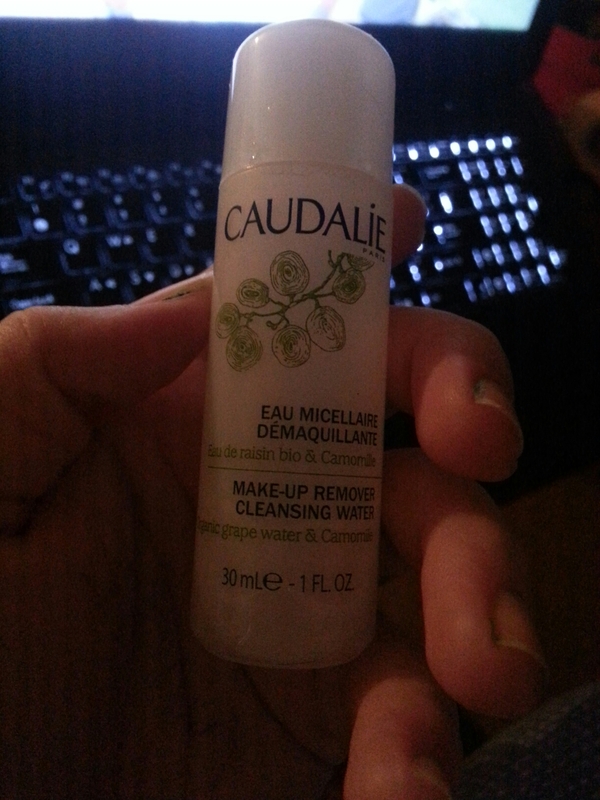 This was good for what it was, but I don’t think it’s any better than any other facial spray I have ever used. I equate it with the NYX dewey setting spray. And then I purged some things that I knew I would never use. Some things I’ll give away and some will be tossed. I obtained most of these through sample bags and gift with purchases. With the exception of the pinup girl lip balm, which got really weird after a couple of months in a drawer, none of these are even remotely close to a color I would put on my face. 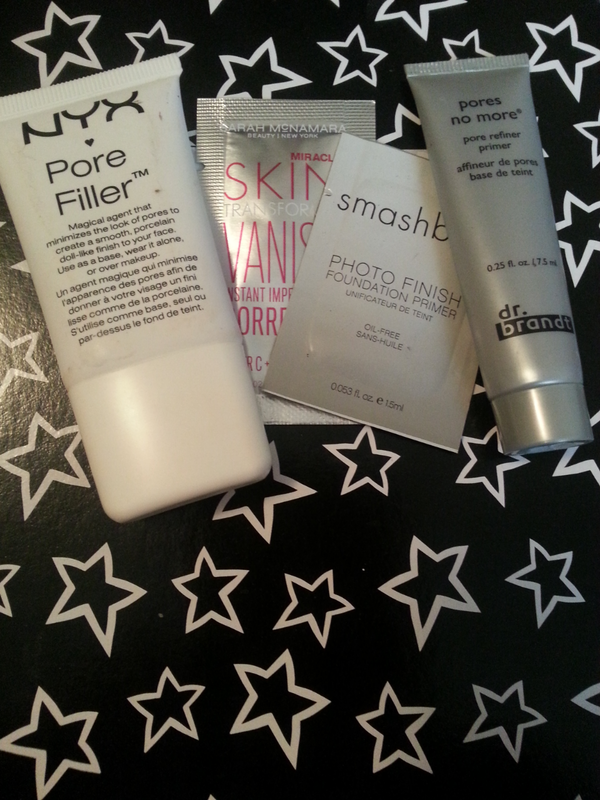 I cleared out some face products as well. I can’t handle most facial highlighters. Something about illuminating ingredients make the tops of my cheeks burn and break out so I end up using them as eyeshadows. The Doll 10 is a cream, and doesn’t work well for that. 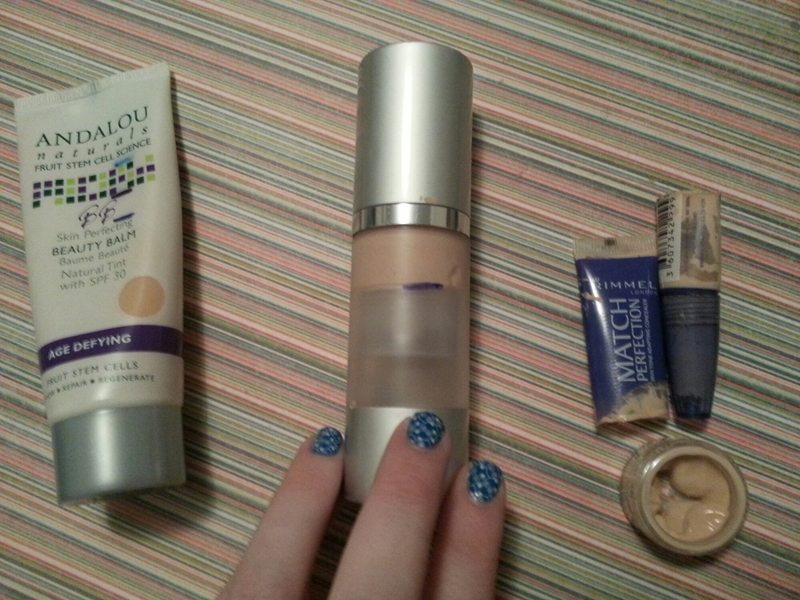 The other face products are way too orange for my super pale neutral skin. Mascara and eyeliner! Both the Smashbox and Lancome were way too hard for my sensitive eyes. The NYX is an excellent tube mascara, but it doesn’t do much for volume. The two waterproof in the middle were too difficult to remove for me, but I do want to try the non-waterproof supersizer with Ulta’s Raincoat over the top. I loved it going on. 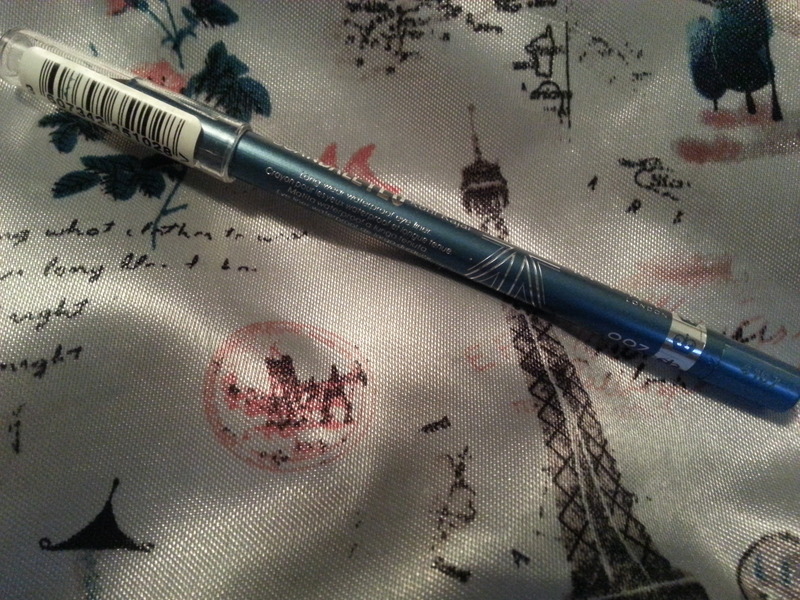 And finally, the Catrice Better Than Waterproof is a lovely tube mascara but about a month in, it got a little plasticy. That’s it for makeup! I’ll have a part 2 with skincare and a part 3 with masks coming up soon! 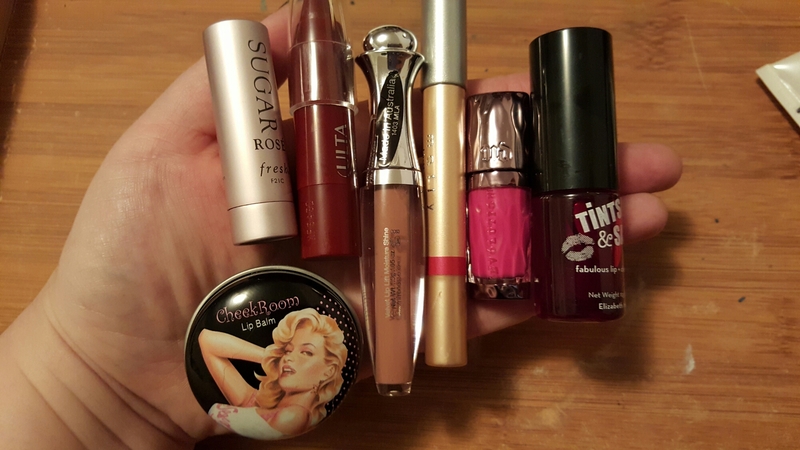 This entry was posted in Product Reviews and tagged catrice, concealer, cosmetics, cover girl, Empties, eyeliner, foundation, indie cosmetics, indie makeup, lancome, lip gloss, lipstick, makeup, mascara, meow cosmetics, nyx, tony moly, ulta on November 9, 2015 by Mel. I’ve been up to a whole bunch over the past few months! My job’s busy season, acclimating to two new bosses, helping my brother move, lots of extra traveling. Frankly, I’m a bit pooped! I have finished up some interesting things in the meantime, though! I finished and purged several mascaras last month. Obviously, not enough to fill a whole collage. Right-to-left, first off, there’s Mirenesse’s Secret Weapon. I enjoyed the fancy-pants packaging. It had a Christmas tree-shaped natural brush. I liked that it didn’t smudge on me, which is a problem I have with most mascaras. It gave me some good volume as well. I would definitely try this out again! Next up is Smashbox’s Full Exposure. I got this at a CCO a year ago. It was way too wet at first, so I let it dry out a little. And then it was too dry. I think it was more my timing rather than the formula itself, but it was too wet for my taste right off. Then there’s the trusty Clump Crusher. I was using it mostly to separate lashes after using another mascara. Ulta’s Raincoat is a topper that makes regular mascaras waterproof. I can’t speak to the true waterproofiness (which is totally a word!) but it keeps some of my favorites from smudging under my eyes. 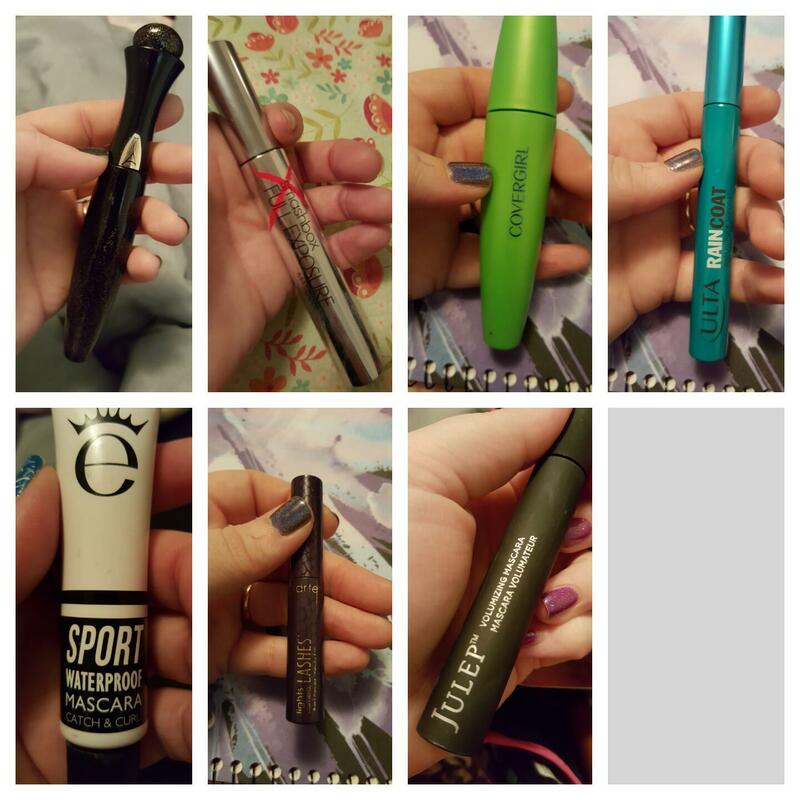 I loved Eyeko’s Sport waterproof. Until I tried to remove it. This stuff is bulletproof! It also has fibers, however, which are not so bulletproof. After wearing it the first few times, those fibers dusted off into and under my eyes causing a fair bit of discomfort. Not for contact lens wearers! 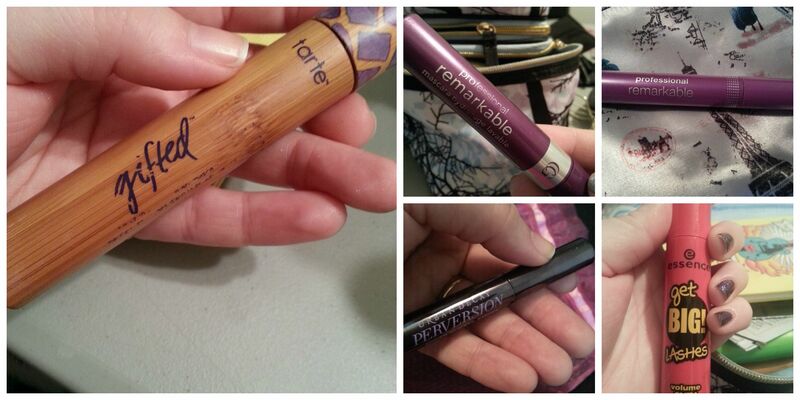 I used up a sample tube of my current fave, Tarte’s Lights, Camera, Lashes. It makes my lashes thick and fluttery. It transfers like a mother, though, so I always use it with the Raincoat. 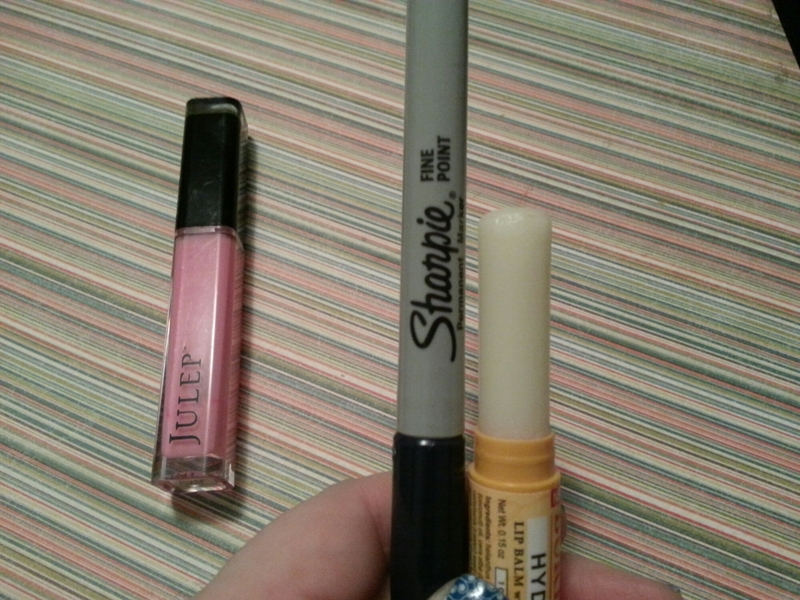 And, finally, I tried out Julep’s volumizing mascara. I’m a Maven, so I do get discounts on their stuff from time to time. I haven’t had much luck with their makeup so far. This was thick and wet simultaneously. It just didn’t work for me. 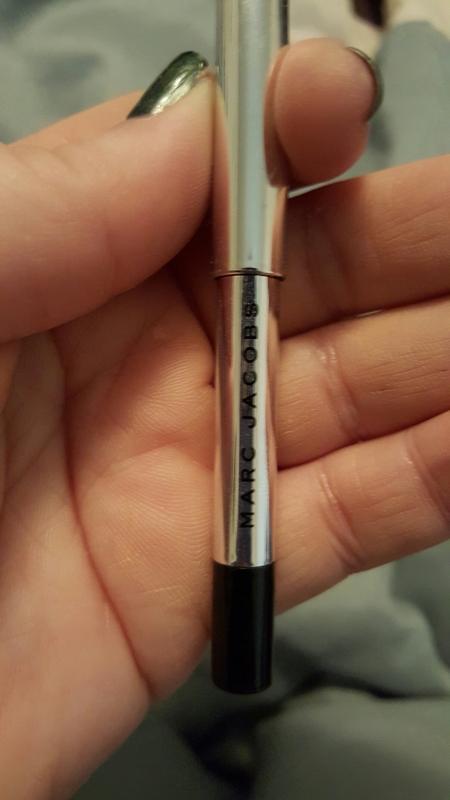 I finished up a sample of the Marc Jacobs gel eye crayon in Blacquer. I liked this so much that I sprung for the holiday collection. 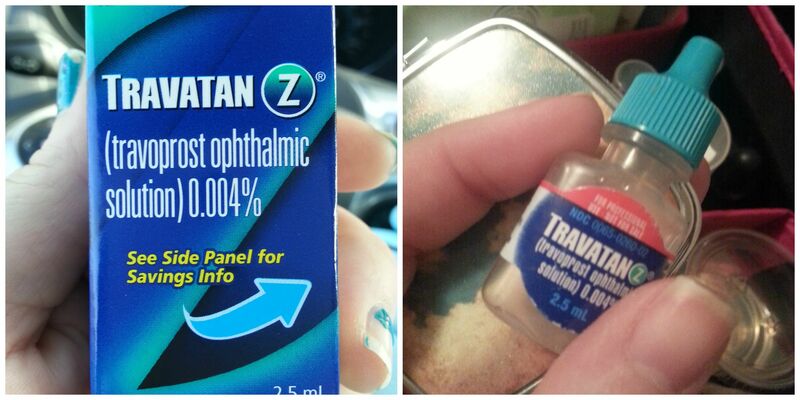 It’s a dry formula, but once I got it on my watery allergy eyes, it went nowhere. I can even tightline with it. 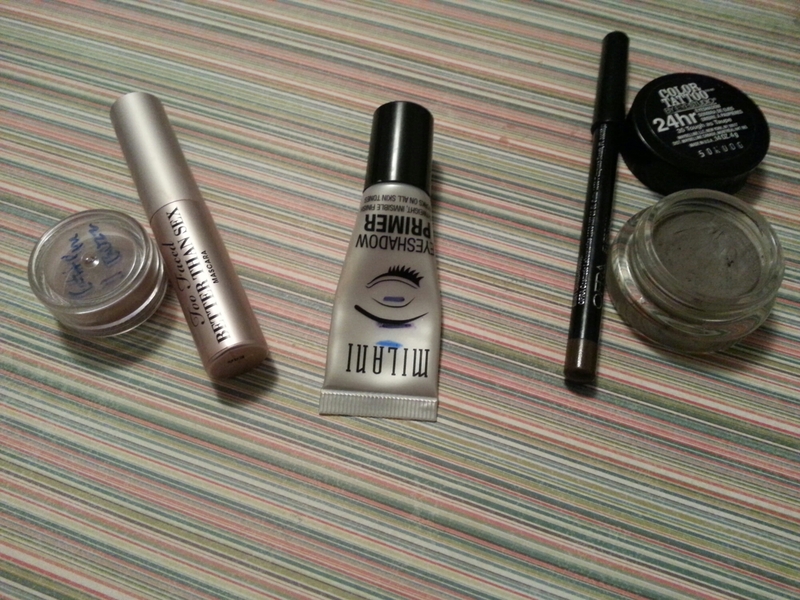 I used up some peripheral makeup stuff. 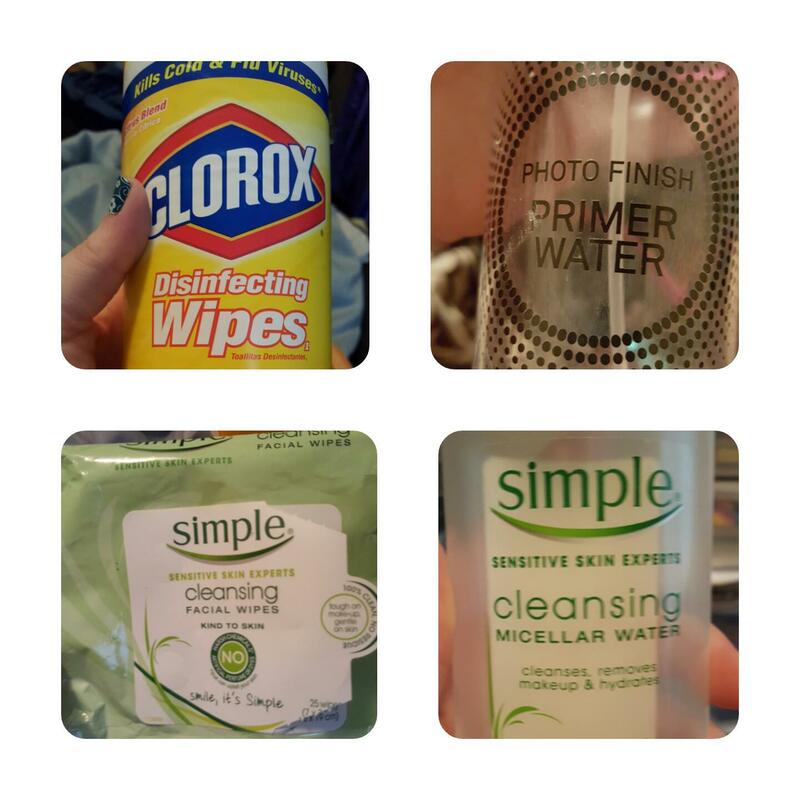 I use a disinfecting wipe on my brushes and to clean up my hands, etc afterward. The brand really doesn’t matter much. I bought the Smashbox primer water right after it came out. And promptly regretted it. My skin didn’t like it as a primer. There wasn’t enough moisture involved. 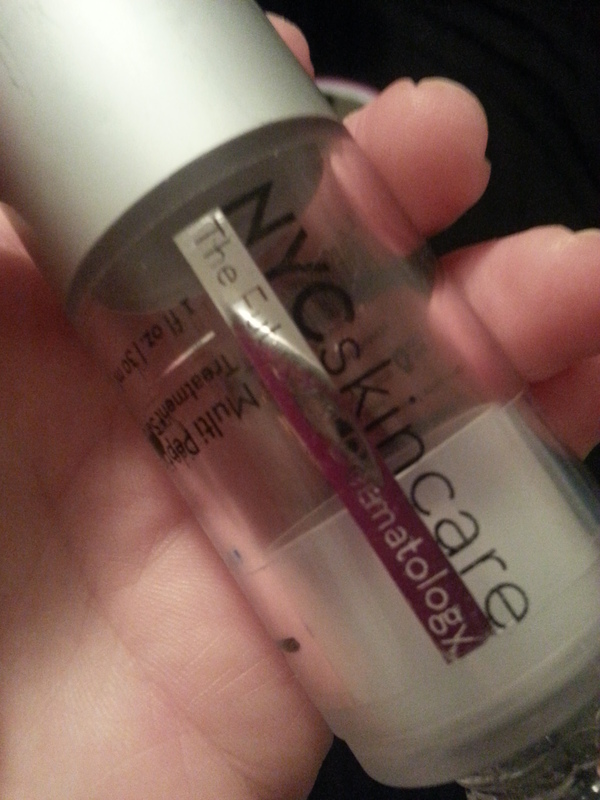 I used it, primarily, as a setting spray but I found that it smelled exactly like a hospital hallway. I didn’t appreciate that at all. 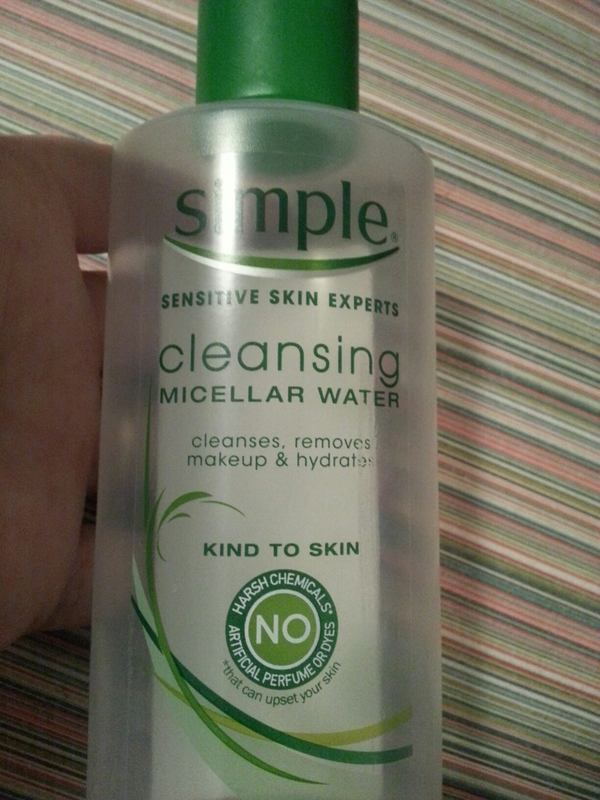 I used up a pack of Simple wipes and a couple of bottles of the micellar water, both of which I love and hoard. I finished up a few serums. I tend to layer them, thinnest to thickest. There’s usually a vitamin c serum, a hydrating serum, and I rotate out the third depending on need. 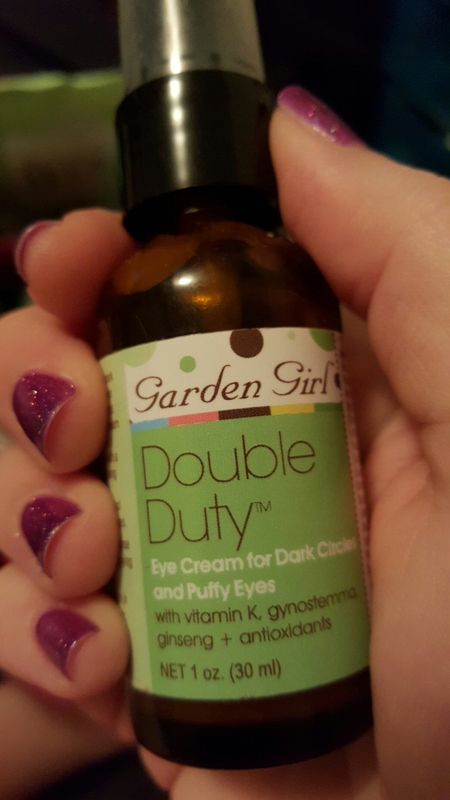 Garden Girl’s Superhero Serum is one of the latter. 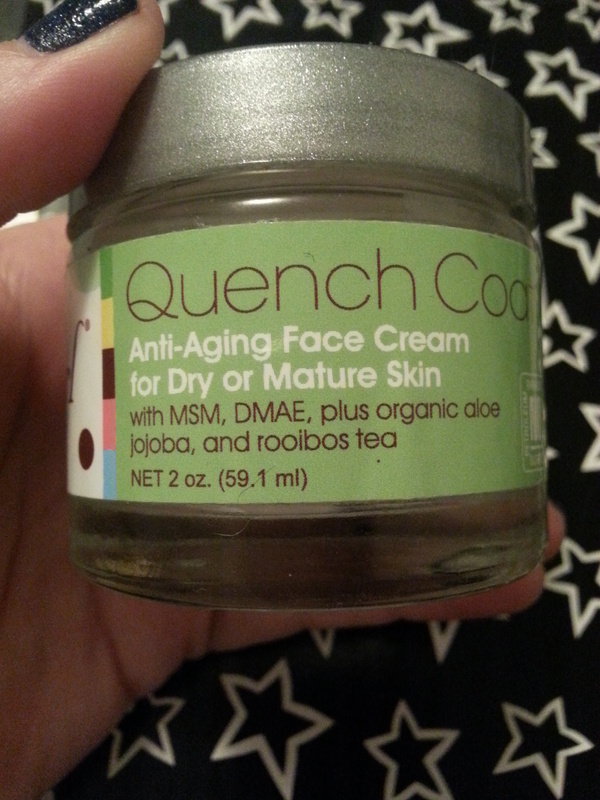 It is jam packed full of good stuff and my skin seems to like it. It smells a little bit like Flonase, though, as Janie-cat can attest to! 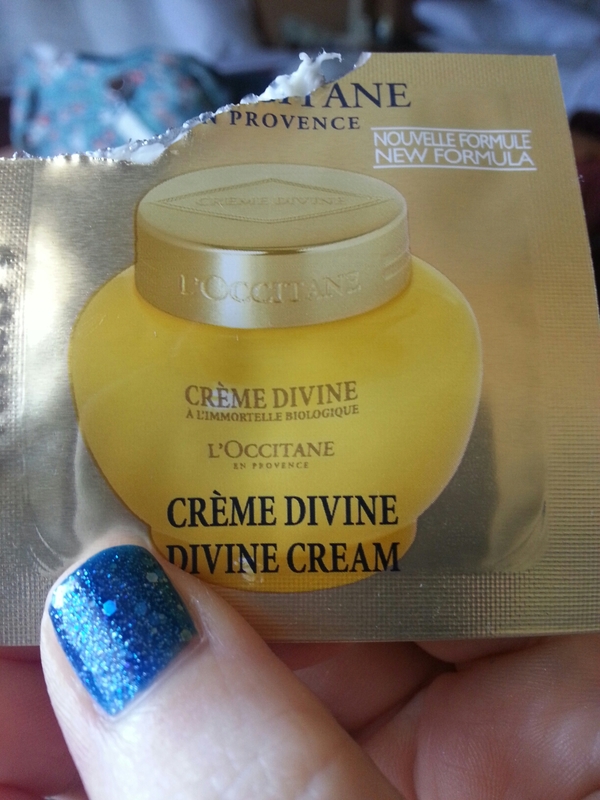 I also used a sample of the SKII essence cream. 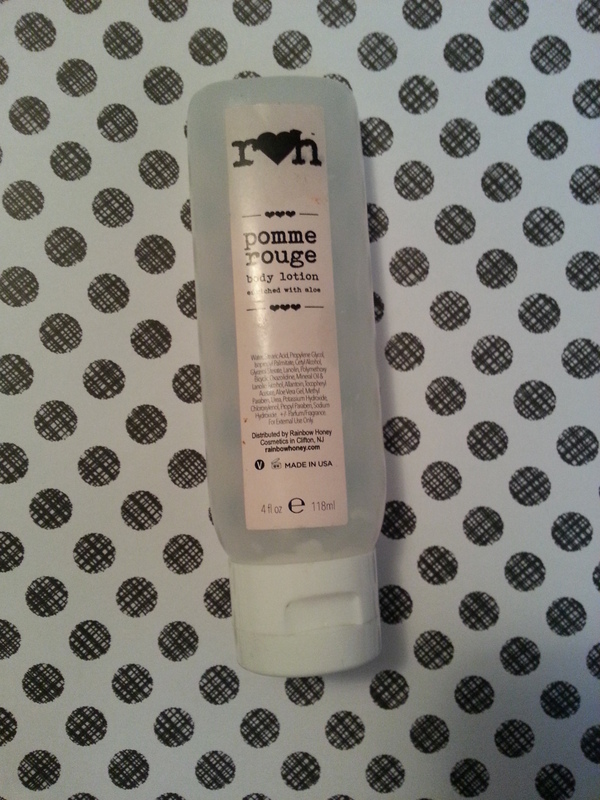 It’s not watery like the essence itself and it contains silicone which I try to avoid in my night products. So I used it as a primer and enjoyed it that way. The last serum I finished was the Peter Thomas Roth Retinol Fusion. It had a slightly oily consistency, but absorbed right away. I had some flaking for a week at first, but that eventually stopped. I finished off a sleeping mask. 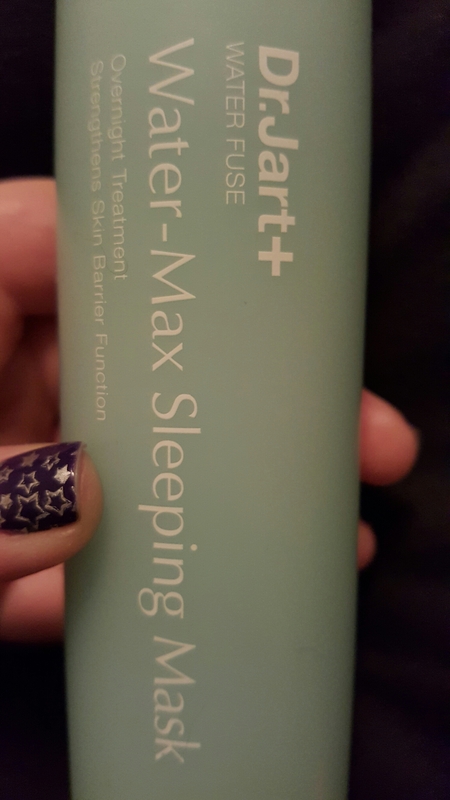 This saved my skin last winter, and I found that it’s light enough to use in the summer as well. It’s rather expensive, but it lasted almost 9 months. 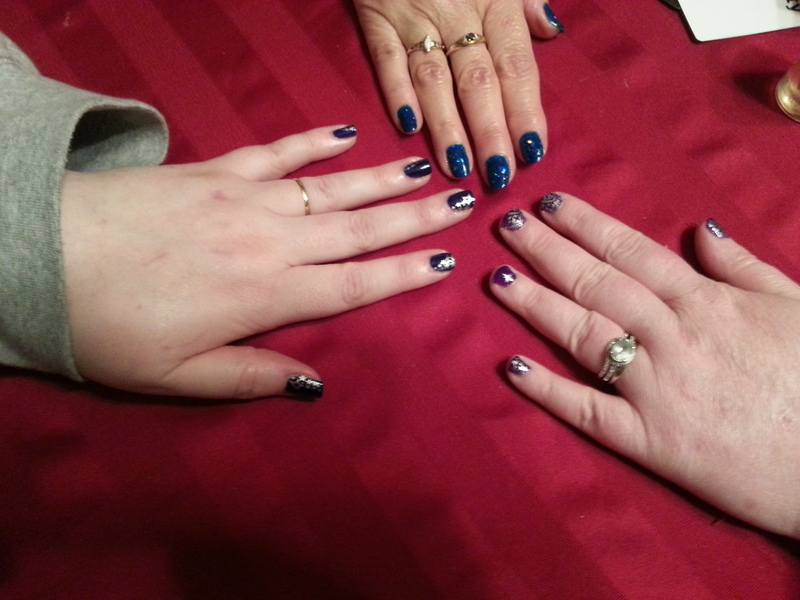 I finished up some nail and hand care stuff, too. First off, is my most-used, most-loved stamping polish. 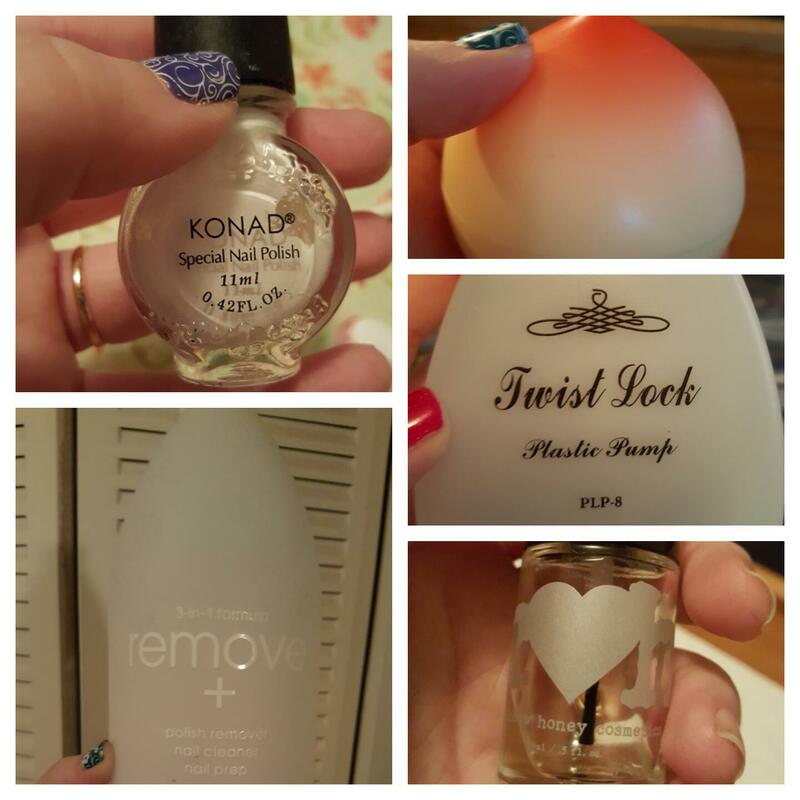 I have never found a white to work as well as Konad’s. I cracked into my backup and will be stalking the site for a sale to replenish. I used the last of Zoya’s Remove +. It’s expensive. I know. 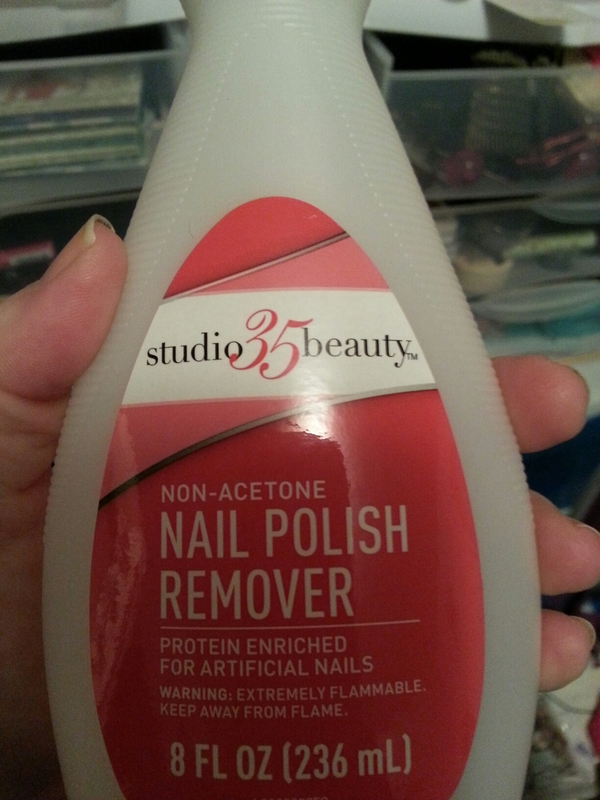 I don’t use it for anything other than to remove glitter polish. 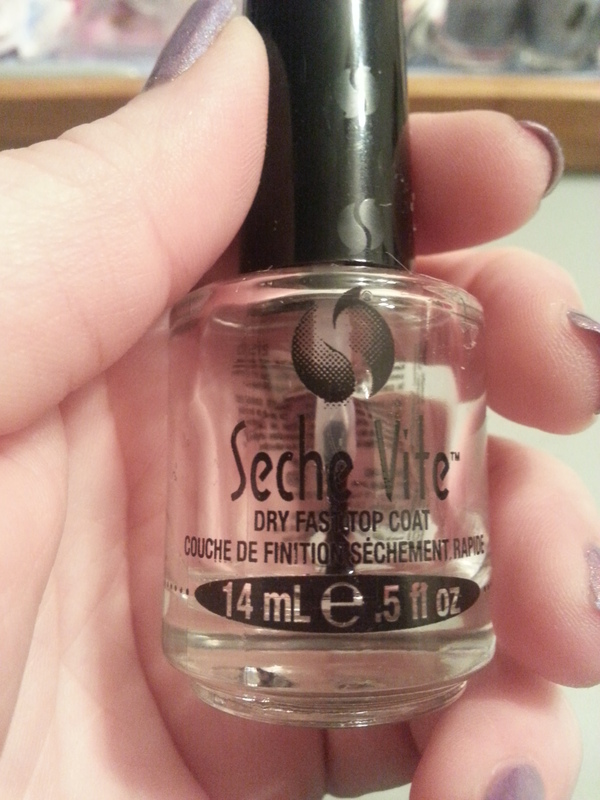 I don’t know what it is about the formula, but it works better than straight-up acetone for glitter for me. 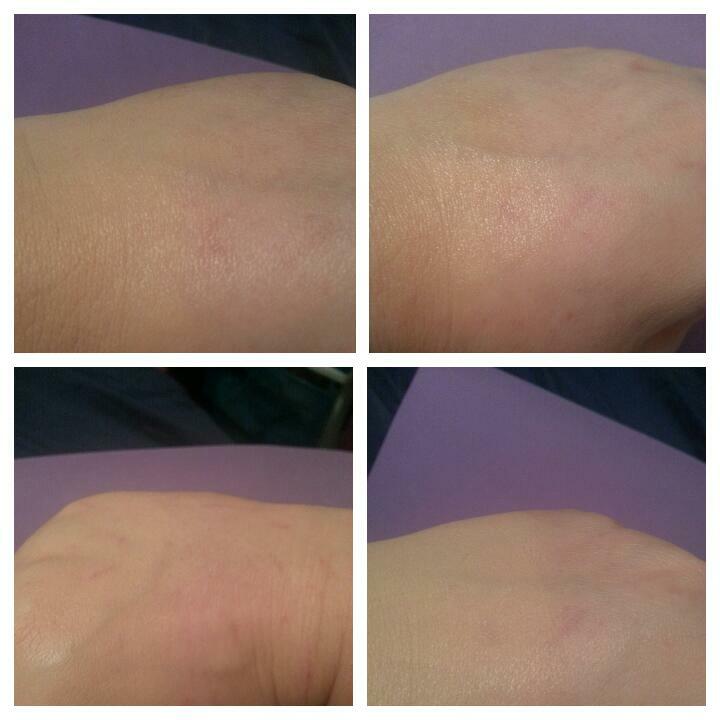 I used the last of a Tony Moly peach hand cream that I got in a Beauteque bag. It smelled divine, but it felt a bit sticky. I let go of a pump dispenser that stopped working, as well as a bottle of scented top coat that I had been using to swatch with. 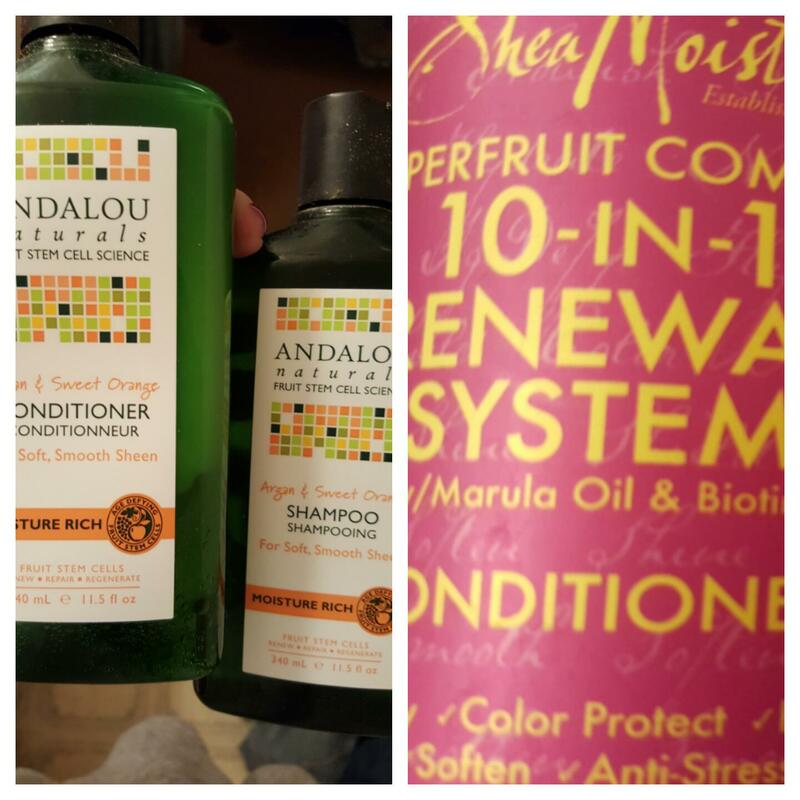 And finally, I’ve decided to let go of a couple of shampoo/conditioner sets. I have thigh-length wavy, fine, dry, easily tangled hair. I also avoid silicones. The Andalou Naturals smelled lovely, but didn’t provide enough hydration. On the other hands, I loved what the Shea Moisture did for my hair, but it smelled so strongly and the scent was so pervasive, it lasted through several washings with other shampoos. That’s it for September! I’m excited I used up so much, but it’s a bit overwhelming all in one post. I may have to split it up next time! 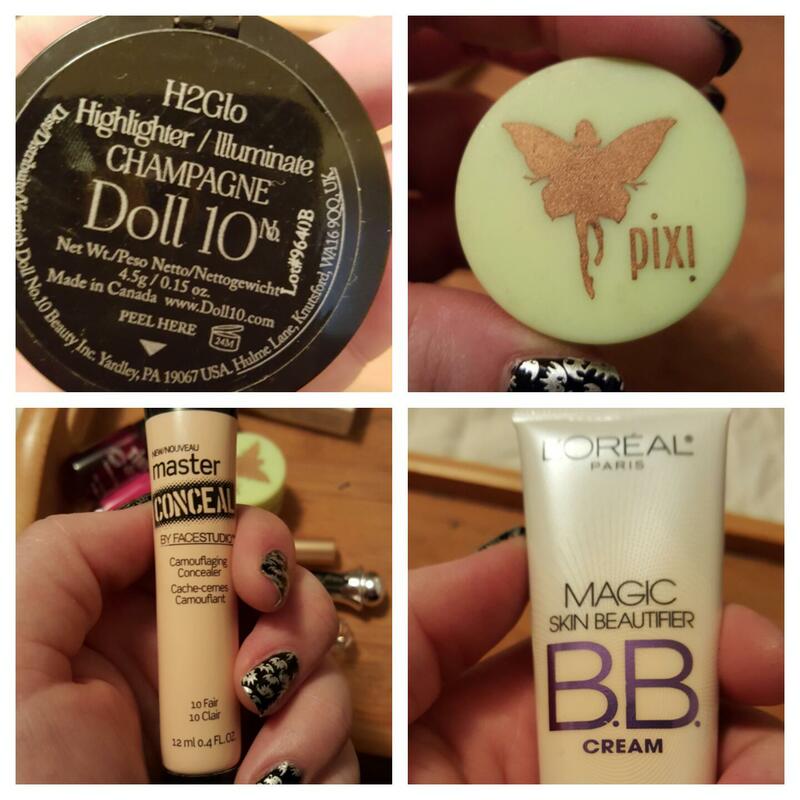 This entry was posted in Product Reviews and tagged andalou naturals, clorox, cover girl, dr jart, Empties, eyeko, garden girl, julep, konad, mad hippie, marc jacobs, mascara, mirenesse, peter thomas roth, rainbow honey, shea moisture, simple, skii, skin care, smashbox, tarte, tony moly, ulta, zoya on October 5, 2015 by Mel. I take a break from just about everything during the summer. While the rest of the world is vacationing and enjoying a break from school, librarians are enduring their busiest season of the year. I live and work in a 40,000+ town in one of the fastest growing counties in the country. This summer, our library had over 2,000 kids participating in the annual Summer Reading Program with attendance that ranged from 60-350 at any given event with each kid checking out dozens and dozens of items afterward, creating a never-ending stream of people from open to close. And exactly how are libraries obsolete again? We outnumbered our main branch (which is twice as big as ours in a city three times the size) in program attendance and came within 300 of their SRP sign-ups. Despite the huge numbers of people walking in our doors and the ever-growing statistics, we’re working with fewer man hours than we were when I was hired in a decade ago because our town council can’t really wrap its collective head around the fact that we’re an essential service, and that all these people moving into our area come from places that actually value education and culture. They’ve kept our funding level for three years straight. Now, we’re much luckier than a lot of libraries in our area – even the metropolitan one in the county next door. Many budgets are getting outright cut. But there’s one significant difference: most of those communities have stagnant or decreasing population. Ours has doubled in a decade. So, I’ve spent the last few months working, eating, sleeping, and working without much energy for anything else. I have, however, been keeping track of the stuff I use up for an epic three-part D&T. I discarded my last ever Real Techniques Beauty Sponge. I used to love these, but I’ve noticed the quality decreasing over the past year or so. 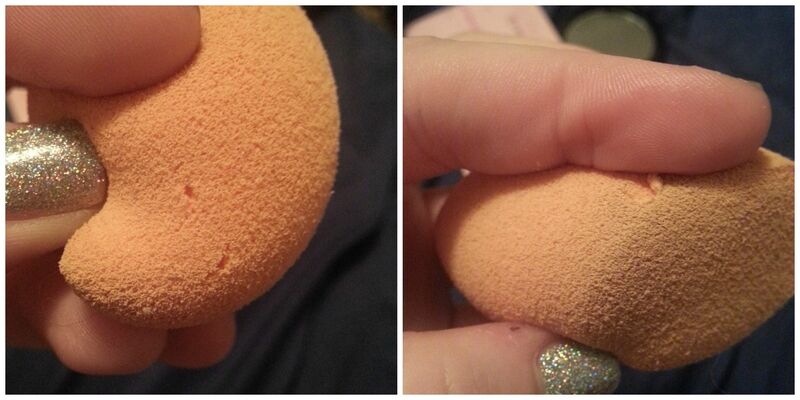 This particular sponge disintegrated after its second use and wash. I’ll be springing for the Beauty Blender from now on. I tried out a lot of mascara this summer. I actually finished the Tarte Gifted and loved it. Almost more than their Lights, Camera, Lashes. It made my lashes look thick and fluttery at the same time, but just like L,C,L, it transferred on me like a mother. I used a waterproofer over it and that made it last all day without flaking or smudging. 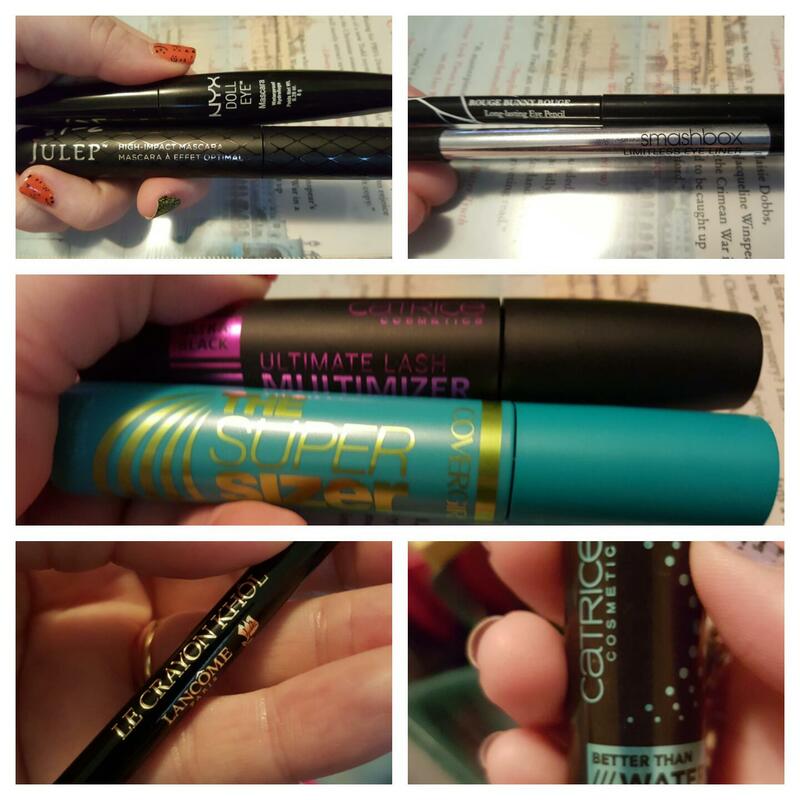 I finished a couple of tubes of Cover Girl’s Professional Remarkable Waterproof mascara – one ran out at the very beginning of the summer and the other I used throughout. This is a very dry formula, which I enjoy quite a bit. My lashes are long – even longer now, but we’ll go through that in a sec – and anything that’s wet tends to make me look like Tammy Faye Baker. 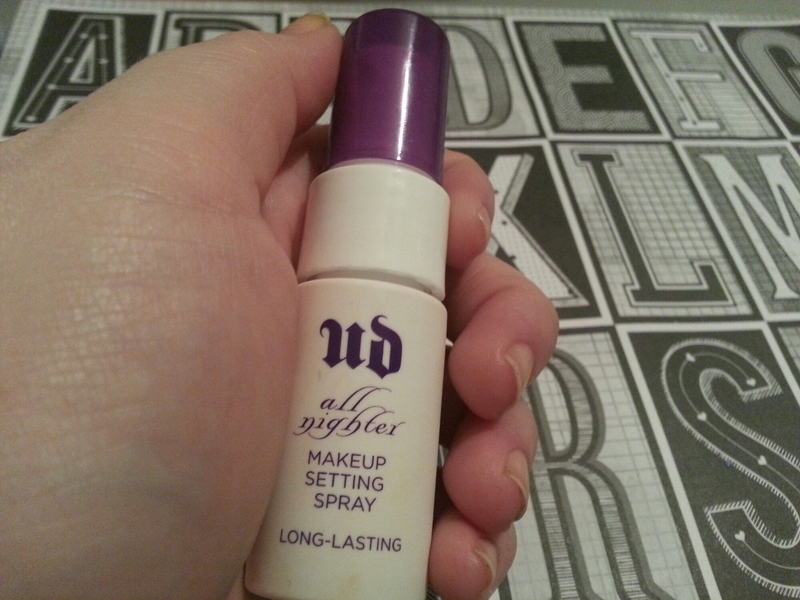 This stuff builds nicely and doesn’t smudge or transfer at all when I use it by itself. The downside to the formula is that it tends to dry up about two months in. 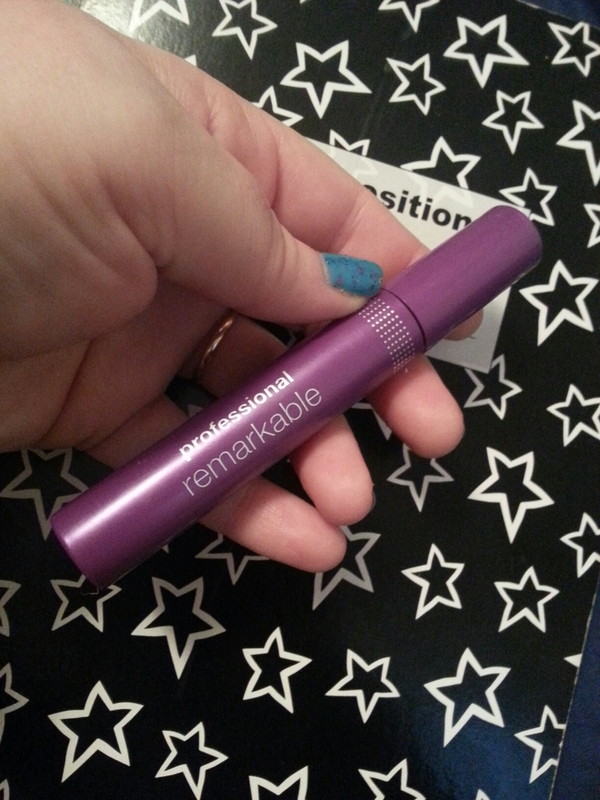 But it’s an everyday workhorse mascara for me, and the benefits outweigh the longevity by a long shot! 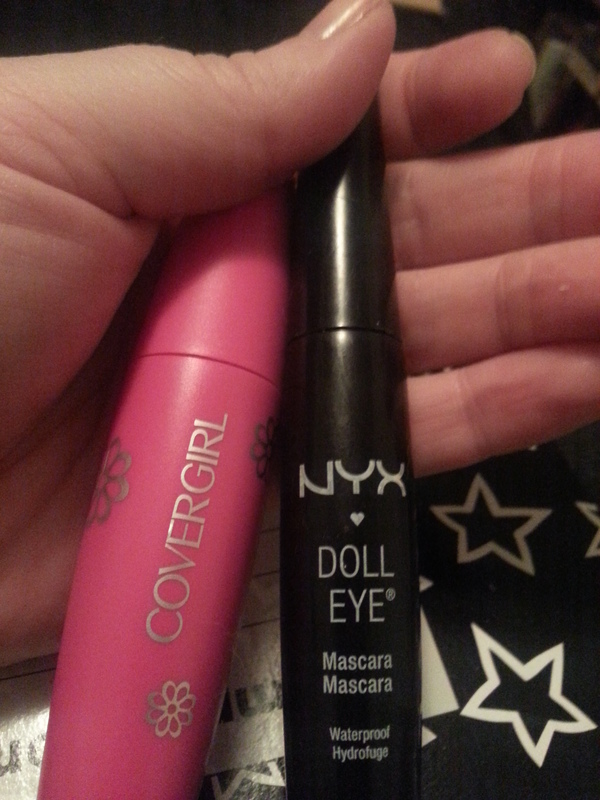 The last two mascaras I didn’t like at all. 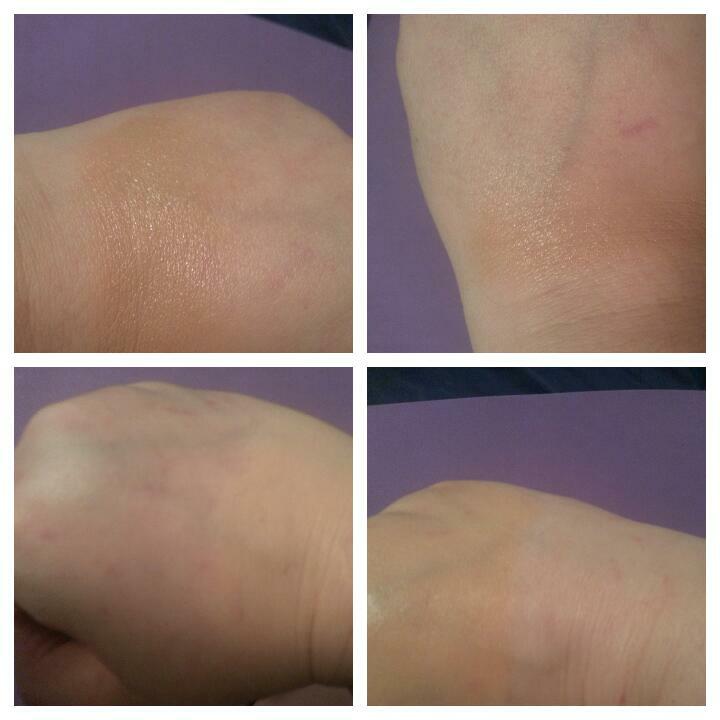 Urban Decay’s Perversion applied all right, but about a half an hour after application, I started to itch. The itch just got worse the longer I wore it, and I noticed some redness on the lids after I removed it. And it started to smudge underneath my eyes almost immediately. 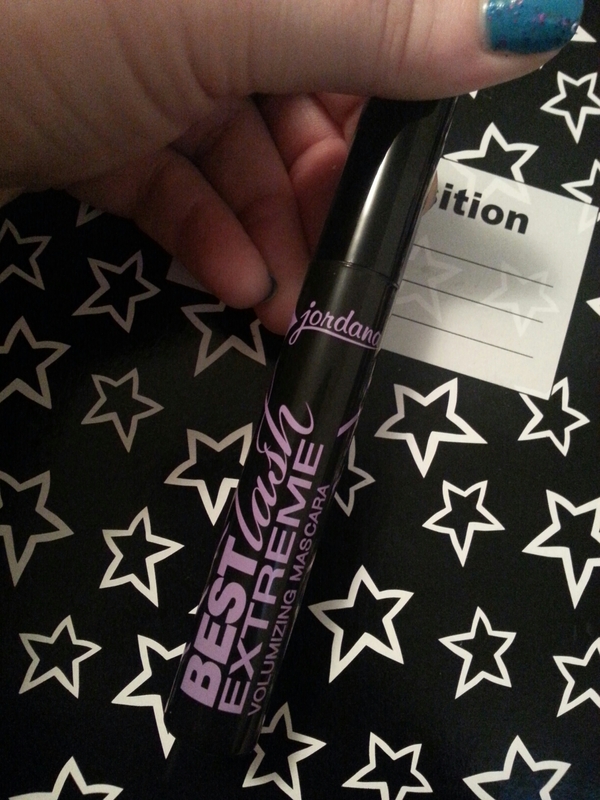 I could deal with the smudging, but the reaction will keep me from trying Urban Decay mascaras in the future. Finally, Essence’s Get Big! Lashes was also a smudger. It didn’t do much for my lashes besides darkening them a little. I got it as a freebie, so I didn’t feel bad just getting rid of it. I’ve been on the drops for a little over two months and I have seen a significant change in my eyelashes. They’re much longer, thicker, and darker. I actually had an awkward growing-out period where they were downright unruly. I have not had any iris darkening, but the tech at my doctor’s office said that, although very few people experience this, my blue/green/gold eyes seem to be the type that it happens to the most. So we’ll see. 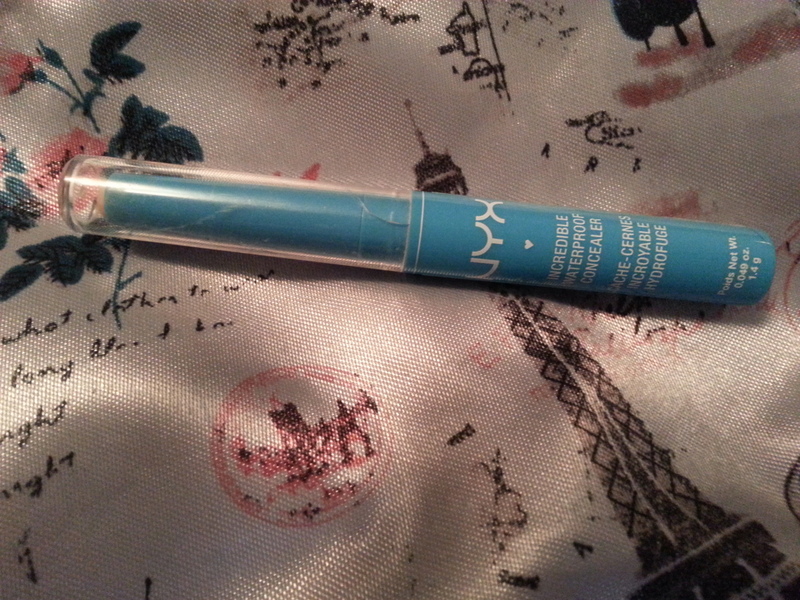 I’m also de-stashing this NYX concealer. It was one of the first I’d purchased after getting back into makeup. It’s a couple of years old, is too hard to use for undereyes and, in the rare event that I need facial concealer, it doesn’t really cover well. 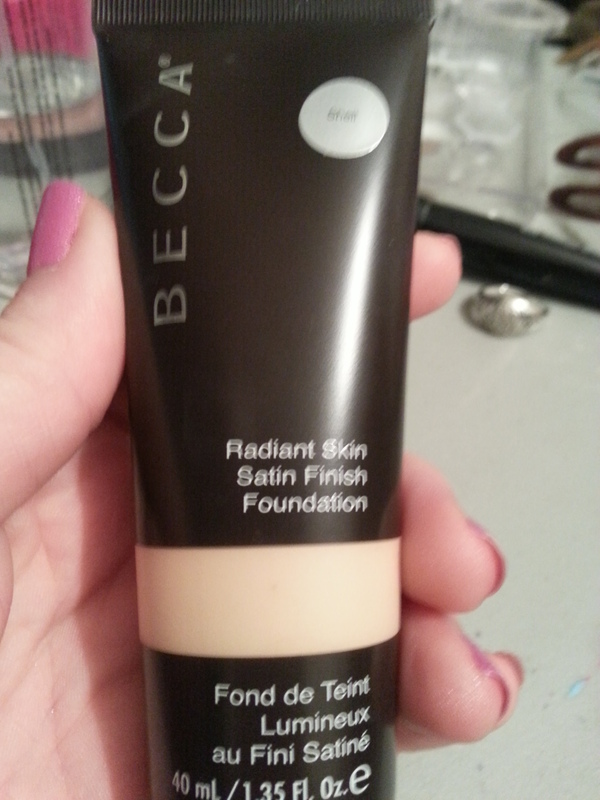 I picked up a Becca foundation on Hautelook. While it was pale enough for me, it made my skin itch and burn almost immediately. I took it off right away, but the redness and tenderness lasted for a couple of days. The only other foundation I had this sort of reaction to was Stila’s Illuminating Liquid Foundation. I’m beginning to think I need to stay away from anything that says “radiant” or “illuminating.” I have started keeping track of ingredients to try to figure out what I might be allergic to. I generally don’t try much fragrance because I’m kind of sensitive to them, but I keep getting samples. So I figure I might as well sniff them, at least. The first might as well have been called Versace Instant Headache. I couldn’t get it out of my house fast enough! Marc Jacob’s Mod Noir was actually pretty nice. 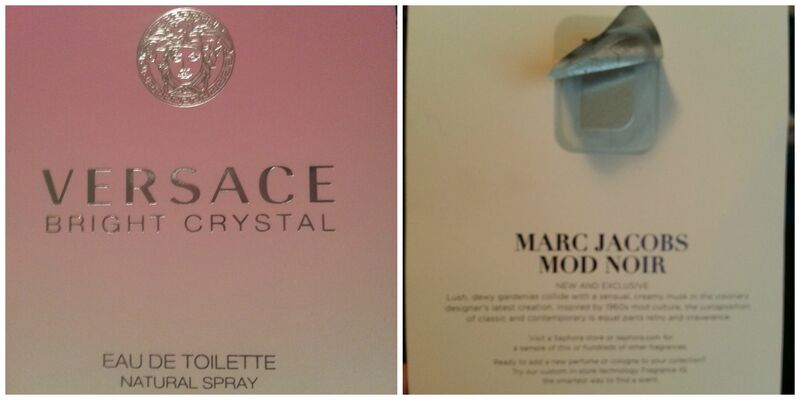 It was a clean, unisex scent that I actually wore for awhile. It lasted well and didn’t turn on me. (Which is another problem I have with perfumes. Rose in particular is my nemesis!) While I wouldn’t spend the dough on this one particularly, I would be happy to try another sample. In addition to daily swatches, I should have the summer skincare and nail care D&T coming up in the next little while, as well as a special project polish post. 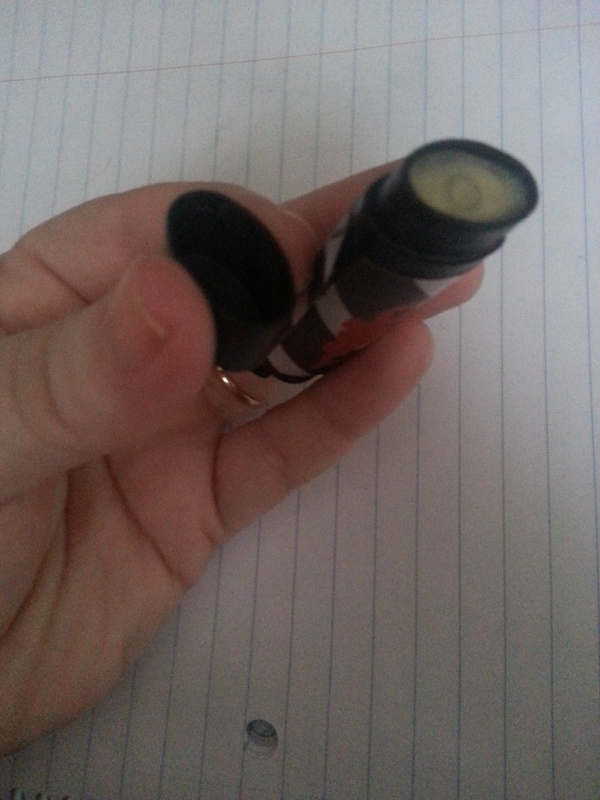 This entry was posted in Product Reviews and tagged becca, concealer, cover girl, Empties, essence, essence of beauty, foundation, fragrance, glaucoma, latisse, mascara, nyx, product reviews, real techniques, rimmel, stila, tarte, travatan z, urban decay, versace on August 17, 2015 by Mel. I have had a pretty productive month using up products! 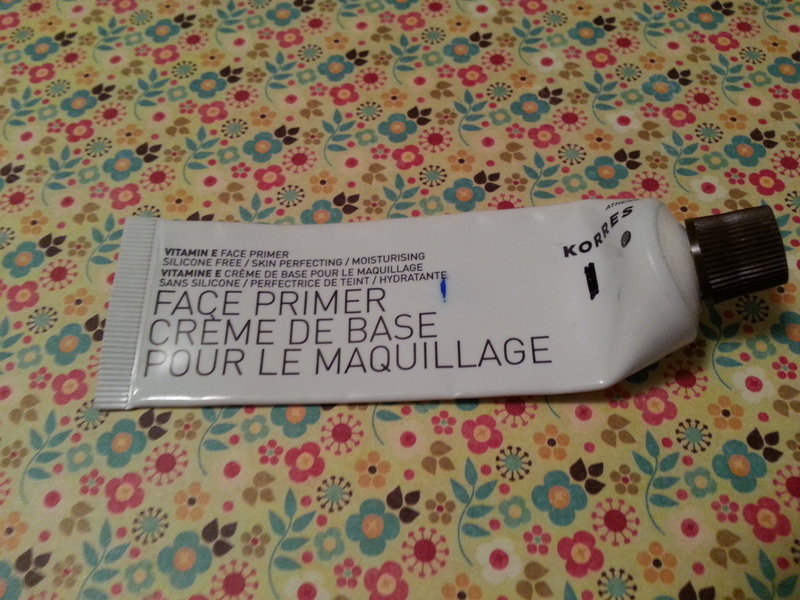 I really enjoyed the Korres face primer! I wasn’t certain at first that it was doing much, but after not using it for a while, I do notice a difference in the way foundation applies. I kind of miss it! 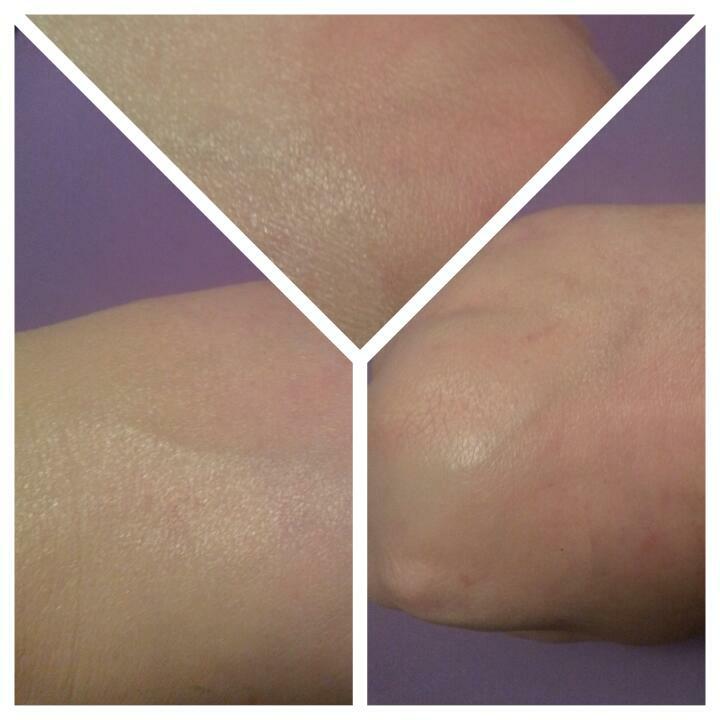 It’s a silicone-free cream that feels like a silky moisturizer. 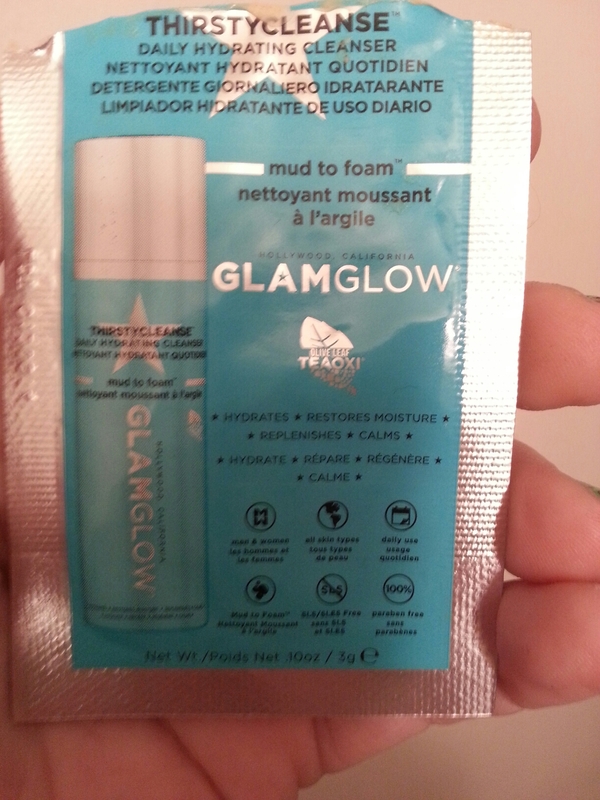 I ended up wrangling a sample of their anti-aging primer to try. I liked this Rainbow Honey body lotion enough to spend the time scraping out the bottle with a beauty spatula. Another silicone-free product. I got this Crown brush in a set. It started to shed the first time I washed it and never stopped. I don’t have time to painstakingly pick brush hairs off my face every morning. So I’m getting rid of it. Another one for the Ipsy graveyard. It’s a very nice, very black liquid eyeliner from Elizabeth Mott with very pretty glitter pieces that made my eyes feel very gritty. It’s very outta here. Finished up a bottle of fast-dry top coat. 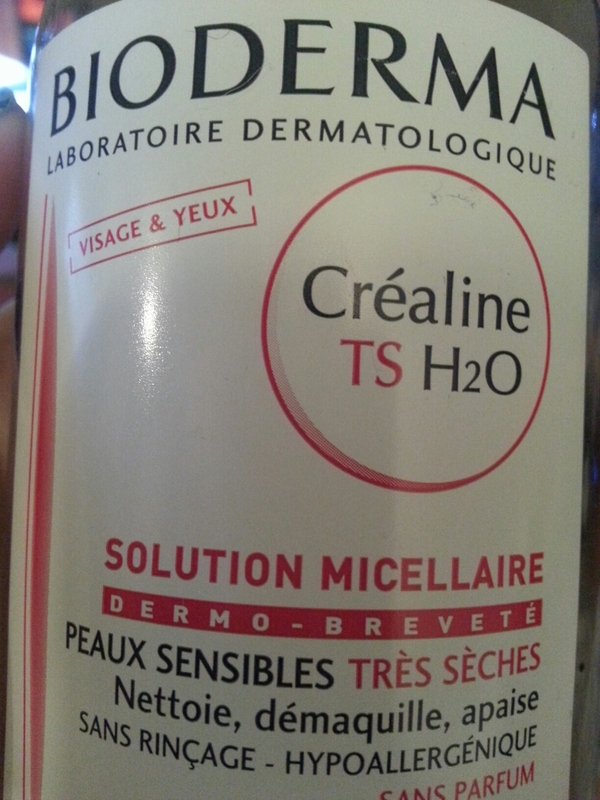 Took care of this Peptide serum that was in my project product. I really enjoyed the texture and I didn’t find it too drying. I would definitely try it again! I finally decided to let go of the silicone-based primers lurking in my drawers. I don’t know if it’s user error or what, but I’ve tried them every way I can think of and they do nothing but emphasize my pores and lines. I’ve rubbed, patted and pressed, used fingers, brushes and sponges in various stages of the making-up process to no avail. 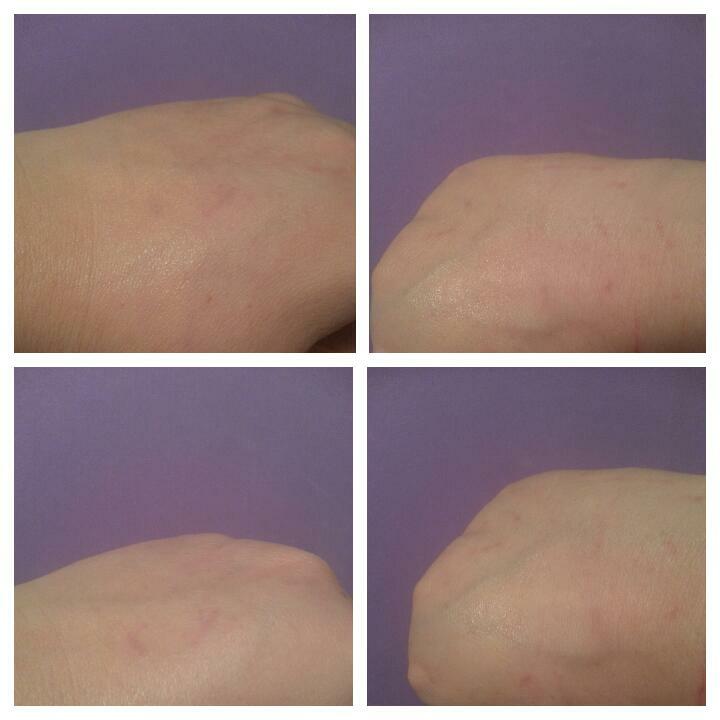 I’m starting to think it’s just my skin. 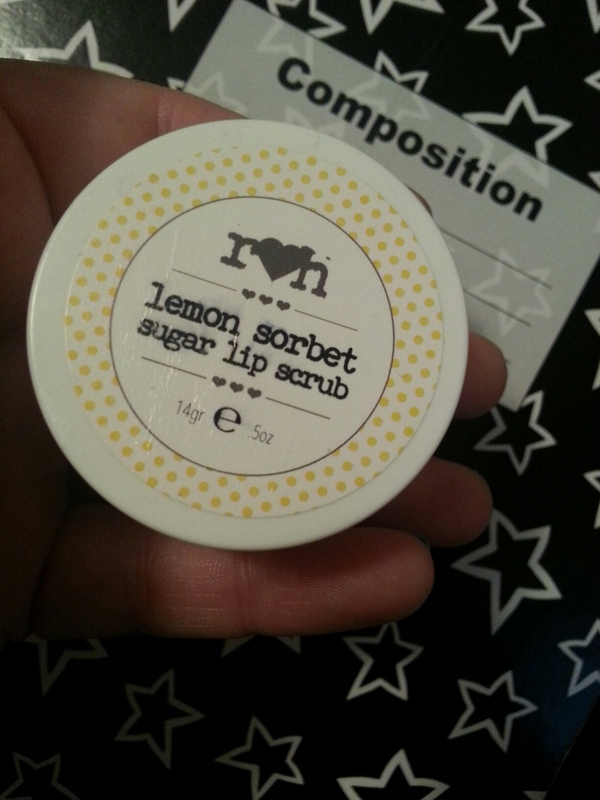 I finished a lip balm! I consider this a triumph because I usually lose or destroy them before I use them up. This was a Rainbow Honey balm and was extremely moisturizing. The torturous eye cream. 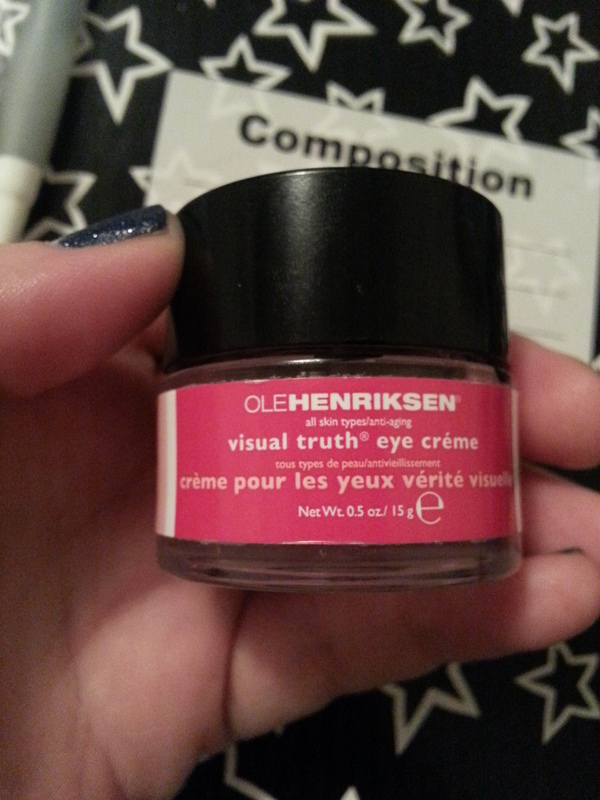 I hate to diss Ole Henriksen, but my undereyes hated this. They actually felt dryer after I put it on. I mixed it with argan oil to make it work. Garden Girl makes my favorite moisturizers. 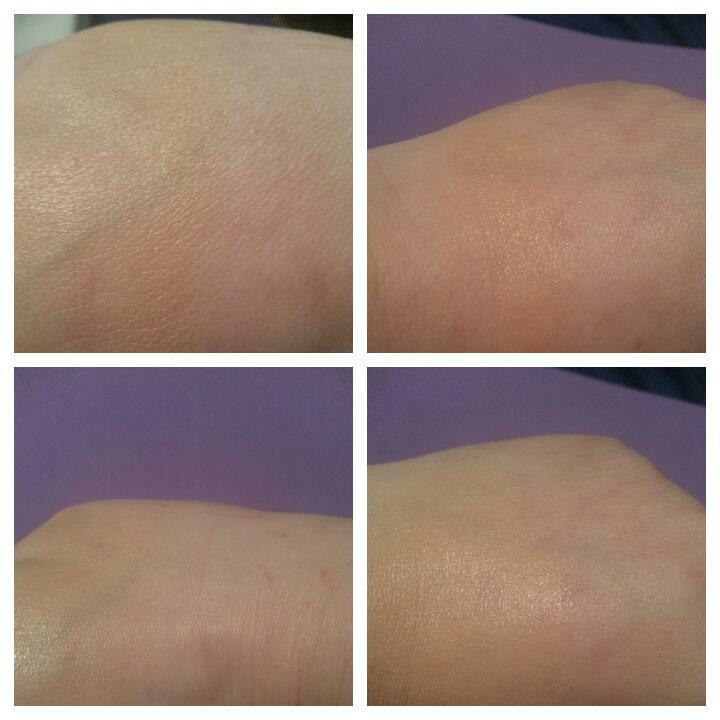 Quench Coat is nice and light, suitable for daytime and summertime, is silicone-free and contains the magic hyaluronic acid. I will absolutely buy this again, but I have to get through the Burt’s Bees Brightening one first. Motivation! I’m de-stashing a couple of old mascaras. Cover Girl’s Full Lash Bloom (on the left) left my lashes feeling very soft, which I enjoyed. But it also ended up halfway down my face two hours after application like most mascaras do. Nyx’s Doll Eye waterproof, on the other hand, stayed put. I didn’t find out until later that it was a tubing mascara. 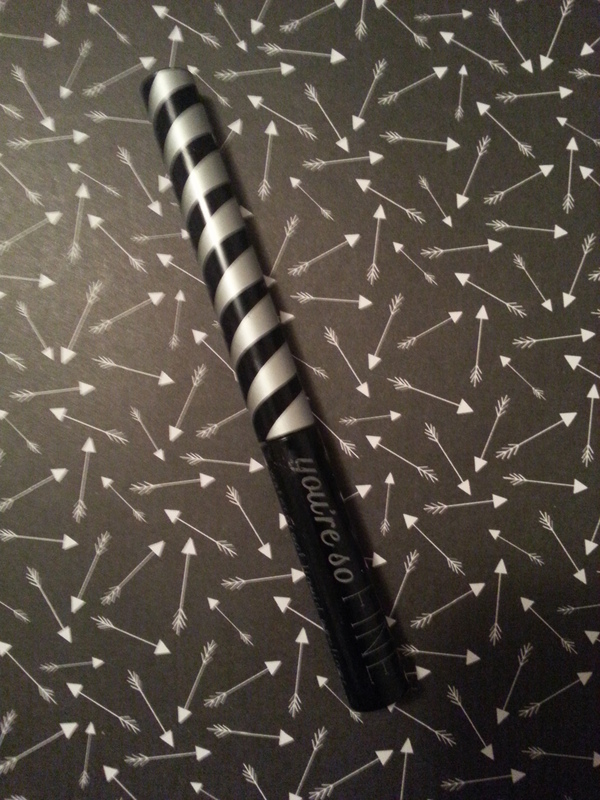 Which has now become my favorite makeup product. Of life. Ever. I like Nyx’s for layering over mascaras that I like but transfer on me. 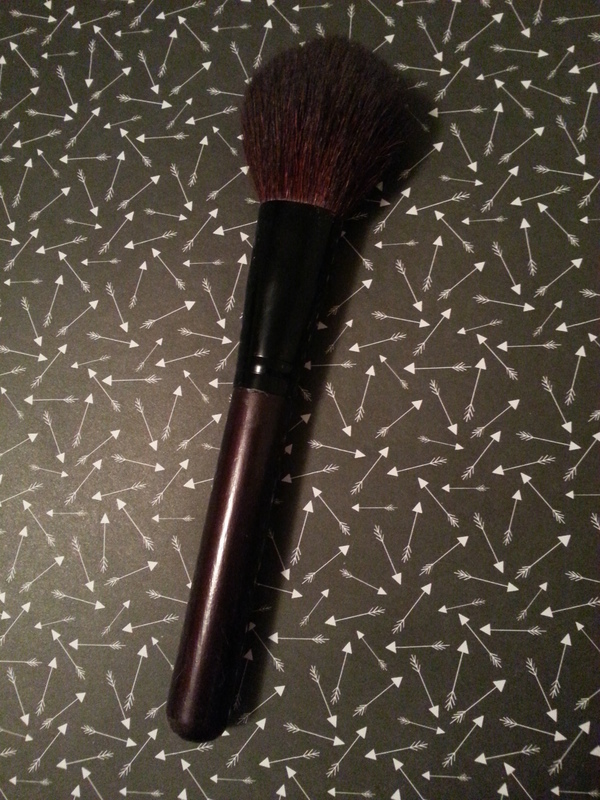 This one is primarily lengthening and has a small hourglass-shaped brush. 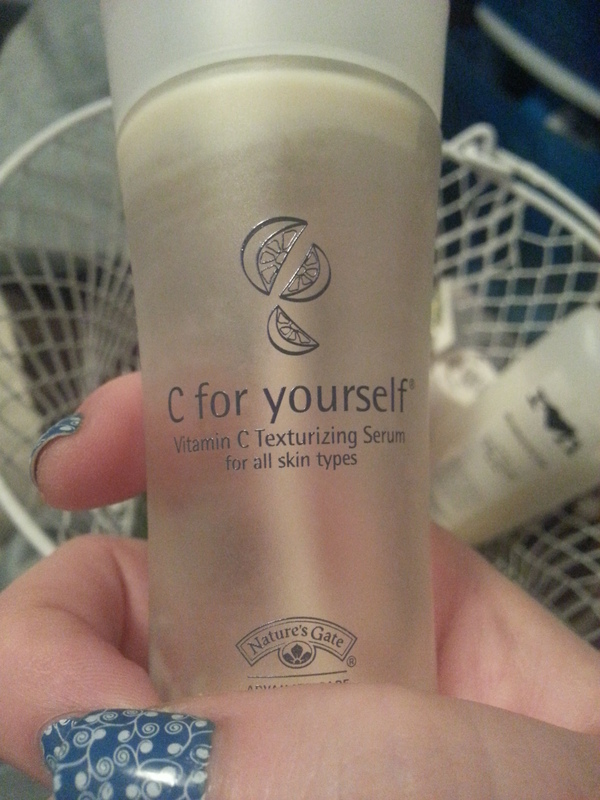 And finally, I finished a vitamin c serum. This was my second bottle of this. I loved the way it smelled of oranges and sunk into my skin. Despite its gentleness, I could feel it working with some slight flushing and tingling. I think my skin has gotten used to it, though, and I may be ready for a step up in vitamin c concentration. 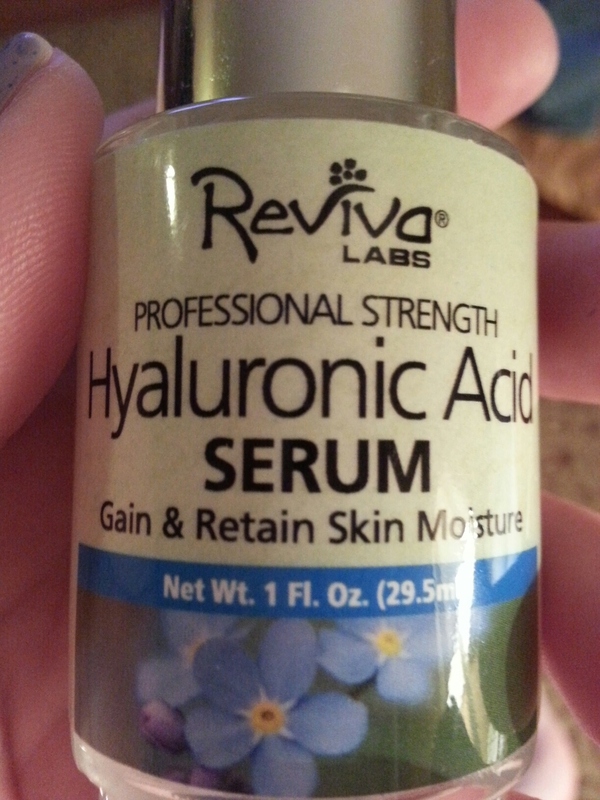 This is a lovely starter c serum for sensitive skin. That’s it for February! I’ll have my mask roundup up later on in the month! 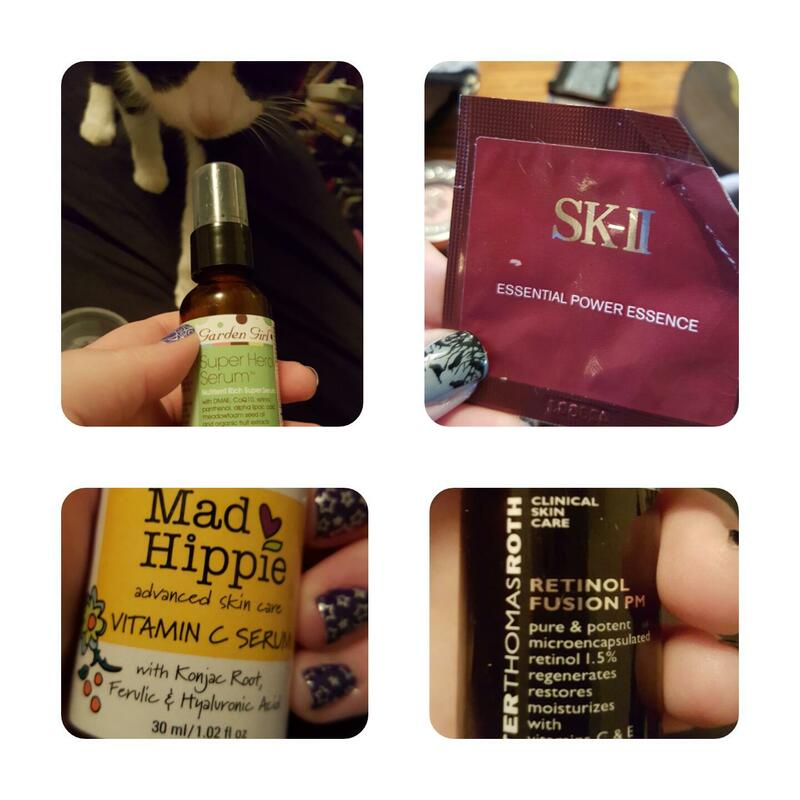 This entry was posted in Product Reviews and tagged cover girl, crown brush, elizabeth mott, Empties, garden girl skincare, korres, makeup, nature's gate, nyc skincare, nyx, ole henricksen, product reviews, rainbow honey, seche, seche vite, skincare on March 7, 2015 by Mel.